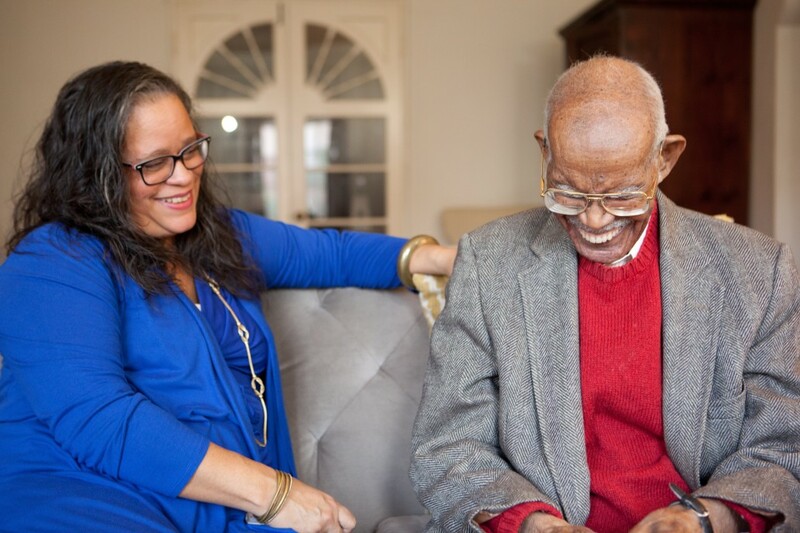 A therapist is bright spot in the day for a senior with dementia. Just getting a visit from someone who cares, and sits to listen or engages in an activity is beneficial to their mental and emotional well being. I often tell the families I am working with that for their loved one, I am just a pleasant visitor and someone they can enjoy being with for 30 minutes to an hour; they may or may not recognize me as a therapist. We have a growing population of seniors dealing with dementia and the behavioral health community must be asking the question "How can we support our geriatric community and how can therapy help?" At least 1/3 of my caseload in private practice is made up of this population and I am passionate about serving seniors, their families, and residential communities in which they may reside. How can we support our geriatric community? First, it is important that we, as therapists, go to them. Many seniors are unable, or find it difficult, to leave their homes. Offering home/residence based services eliminates a significant barrier to treatment. Additionally, therapy is covered by Medicare, under Part B. When a therapist is an approved Medicare provider this eliminates another barrier. How can therapy help our geriatric community? A therapist is bright spot in the day for a senior with dementia. Just getting a visit from someone who cares, and sits to listen or engages in an activity is beneficial to their mental and emotional well being. I often tell the families I am working with that for their loved one, I am just a pleasant visitor and someone they can enjoy being with for 30 minutes to an hour; they may or may not recognize me as a therapist. On the other hand, while I am there I am doing the work of a therapist by evaluating their mood state, assessing suicidality, assessing the safety of their environment, assessing their needs and providing appropriate resources as needed. With the geriatric population the therapist is doing the work of therapy and the client is enjoying the company. Another very important benefit of therapy comes from a perspective of crisis intervention. Typically, if an individual begins to talk about or indicate a desire to die or perhaps even a desire to commit suicide, a typical intervention would involve a trip to the hospital for an evaluation (which can possibly exacerbate the situation). However, with this population this may only be a feeling and may not translate into the same level of suicidality as with other populations. When a senior is working with a therapist who knows their moods, their feelings, their history, and has a connection with them, that therapist can provide a suicide assessment at any time without the need for hospitalization. Of course, there are cases where a hospitalization is required, which is why it is critical an evaluation be done by a professional. This has been a primary benefit to many of the residential facilities my team serves. Another benefit is an additional set of eyes on the senior, their mood state, needs, and resources being provided. Even if a senior is in a residential facility there is typically not a social worker on staff that can spend a significant amount of time individually with a resident and most family members of our seniors are learning as they go and are already overwhelmed. Family members are often unaware of how to handle interacting with their loved one, have difficulty identifying their moods and are unaware as to their needs and the resources available to them. A therapist can provide coaching to family members and residential staff in regards to managing behavior and how to best interact and minimize agitation. Additionally, a therapist can provide valuable resources that will assist in maintaining a high quality of life for the individual. Seniors are important to our communities and our society at large. Together we can ensure quality of life throughout all of life.